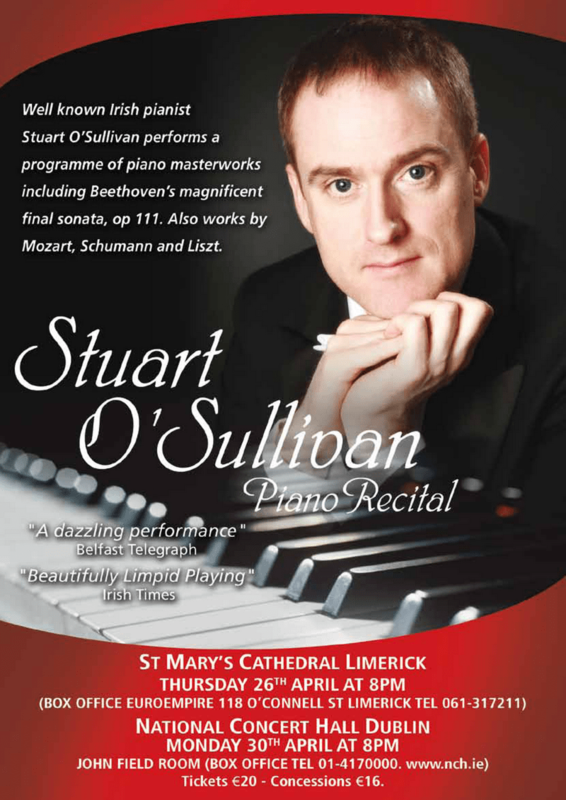 Pianist Stuart O’Sullivan returns to St Mary’s Cathedral, Limerick next week, and to the National Concert Hall Dublin the week after. Stuart is currently based in Limerick, and recently gave an acclaimed performance of Rachmaninov’s second piano concerto with the UL orchestra, a memorable evening at the University Concert Hall. At St Mary’s Cathedral the pianist will play a mixed program of Classical and Romantic piano music. This is an event not to be missed for lovers of classical music.